What Information Is Found In My Credit Reports? 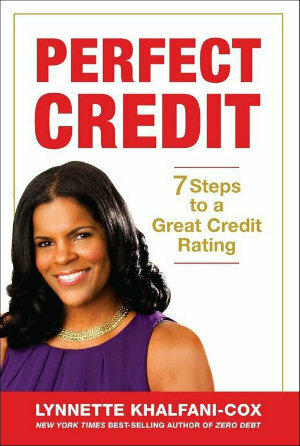 The top part of your credit report contains a condensed set of personal facts about you – the totality of which is extremely important in establishing your unique identity. This data includes your full name, date of birth, other names you have used (such as your maiden name), your current address, previous addresses, home telephone number, and your place of employment. Some reports will also include the last four digits of your social security number and the name of your spouse (if you are married). Each account will be identified by an account name – meaning, the creditor you owe – and an account number. The first few digits or the last few digits of your account numbers are frequently omitted, to guard your privacy. (Some credit reports even scramble account numbers). So don’t worry initially about the account numbers too much, unless the account number, or the account itself, is totally unrecognizable to you. If you don’t recognize an account at all, you should dispute it with the credit bureaus. Any public record on your credit file will seriously lower your FICO credit score. However, judgments or bankruptcies listed as “dismissed” will not impact your credit rating because they will be ignored by credit-scoring firms, as if they never happened. An inquiry in your credit file is a record of any application for credit that you made. For example, if you seek a mortgage or car loan, or even if you apply for a credit card or perhaps request an increase in your current credit card limit, any of these actions can result in an inquiry. Other business-related transactions can also produce inquiries: Among them: signing a cell phone contract, launching new service with a utility provider (like a local gas or electric company), filling out an apartment rental application, or even just using a debit card to reserve or pay for a car rental. All of these activities generate inquiries that are known as “hard” pulls and can lower your credit score. By contrast, when you examine your own credit report, or when an existing creditor does a review of your credit files, those are called “soft” pulls, and they do not impact your credit score. Under the Fair Credit Reporting Act, you are allowed to add a 100-word “Consumer Statement” to any of your credit reports if you have disputed an item in your credit files, but the item was not removed because it was verified by a creditor. It’s generally not a good idea to add a Consumer Statement to your credit reports because most lenders . If you haven’t done so, your report will simply say: “There is no consumer statement associate with this file,” or something to that effect. Understanding the key information that is found in all your credit files will help you in managing your credit rating and increasing your credit scores.